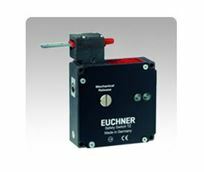 EUCHNER Design Type 2 Safety Switches are used to protect personnel by monitoring and interrupting the safety circuit depending on the position of the machine guard. The locking solenoid holds the guard closed until a stored energy hazard has passed. It can also prevent damage to a part in process due to an inadvertent machine shutdown. To meet current worldwide standards, safety interlock components cannot be easily bypassed. These switches have positive opening contacts (in accordance to NFPA 79) and redundancy to guarantee that they fail to a safe state. The metal TZ switch has become a standard within the machining industries and is always evolving with each new innovation to safety switches.